Keeping your data secure and close to hand has never been more important, no matter what type of device you are working on. With cloud storage, you can quickly and easily access nearly any type of file known and either download it, edit it online or share it with others with a few simple clicks. The cloud storage solutions that work this magic are myriad, but there are two clear leaders in the space: Google Drive (review) and Dropbox (review). While similar in scope, there are some differences that can make one or the other service more useful for you, depending on your unique situation. If you’re a Microsoft Office user, and want to be able to edit your files online then you’re probably going to want to go with Dropbox. While Google Drive offers online editing of office productivity files, it only allows you to edit Google Docs, Sheets and Slides natively online—for other file types you’ll have to download the file and re-upload. While that doesn’t sound like a lot of extra work, try it a few dozen times and you’ll see why there’s a bit of frustration to be found in this type of setup. Dropbox on the other hand fully integrates with Office365, so you’re able to edit your Word files right in MS Word and then have them sync seamlessly right back to the cloud. While Dropbox has a relatively strong search, it just can’t compare to the search driving Google Drive which allows you to search not only file names but inside the files as well. You can even scan PDF files for text and images as well as the metadata embedded within the images. When you need real-time collaboration and editing, Google Drive is the clear winner. You can literally hop on the phone with a client, open the same file and see what the other person is typing—as they type it. With Dropbox you can both be editing the same file, but you’ll get a notice that there’s a file conflict that has to be resolved before saving, or you’ll get a second version of your file to contend with. While this is still a valid method of collaboration, it isn’t quite as seamless as the option with Google Drive. While both Dropbox and Google Drive offer significant file sharing functionality, only Dropbox has what feels like fully integrated native file sharing directly from your PC or Mac. Drive file sharing works well from the web app, but the desktop app doesn’t have the same level of support. Dropbox not only syncs automatically, but requires a great deal less work on both sides of the sharing equation. In possibly the most important difference, Google Drive edges out Dropbox by offering more free storage and deeper discounts on paid storage as well. While prices can change drastically based on the time of year or the various discounts being offered, in general Google Drive offers more storage for less money on a monthly or annual basis than does Dropbox. Dropbox makes getting more storage incredibly simple, but it is on the pricier side. Looking at the two different options, it can be difficult to determine a clear winner and loser—both Google Drive and Dropbox offer many wonderful options for users. What the choice boils down to is your preference for collaboration and file types: if you prefer Office software and editing within the suite of products, you should probably go with Dropbox. However, if Google apps are your cup of tea, then Google Drive gives you the functionality that you need at a great price. Why All the Hype around Hybrid Cloud Storage? The term “hybrid” implies a blending of different things; in this case local storage and storage in the cloud. While it may seem like a confusing term, hybrid cloud storage is actually quite straightforward: the cloud stores the overarching super set of your data, while a curated sub-set is stored locally and used as your primary depository. Straightforward from a user perspective often means that there is complicated business logic driving the decisions behind the scenes, and hybrid cloud storage certainly lives up to that expectation. Users love hybrid cloud storage solutions because they’re fast, and they just work—even offline. The primary storage can either be a local cloud-based or personal cloud instances on each employee’s laptop. When something happens to a local storage location such as a hard drive crash, the remote cloud provides a real-time backup and “one source of truth” for all of the organization’s data. Keeping your information safe is a huge concern these days, but the need to provide users with seamless and easy access to the data that they require to do their jobs no matter their location is of almost equal importance. While the speed of business continues to accelerate, security protocols have had trouble keeping up. A hybrid cloud instance offers the best of both worlds: highly secure local storage with controlled access both within and outside the organization via any computer or device with Internet access. A rising trend in technology is dealing with employees who are in a BYOD situation—Bring Your Own Device. While companies may have a hard time providing up-to-date devices for each employee, there are also challenges with ensuring that each device has the correct security protocols associated with it. One way to work around this concern is through a hybrid cloud solution that allows the technology team to use audit reports, folder permissions and other options to limit access to data flowing both ways on the device. Employees love this option as it allows them to have the flexibility of working when and how they want to work while giving them access to the files that they need the most to be productive. One of the promises of a hybrid cloud is that it supports a truly agile technology team—only utilizing resources when they are needed, with the ability to add more on an ad hoc basis without significant outlay or re-engineering. The transparency of the solution is also important, as technology decision makers are able to quickly and easily see how to allocate resources and structure without having to do physical machine audits or other time-consuming check-ups. The ease of use for workers can also help free up time on the technology team for help desk as long as the solution is well implemented. Keeping your users running means providing them with access to the tools and information that they need to get their job done quickly—and a hybrid cloud is yet another tool in the deck to help accomplish that goal. Since the inception of cloud storage, there has been a growing fear among users with regard to the security of their private data. Cloud storage takes away some of the control users have over management and access to their data. Data stored in the cloud is subject to various privacy laws which the user may want to know beforehand. Additionally, cloud storage services differ from each other in terms of quality, added solutions and overall value to users. This is the case when it comes to cloud storage services in the US versus those in Canada. Read on below to find out more about the main differences between cloud storage providers in these two countries. When it comes to choosing where to store your data, between the US and Canadian based cloud storage providers, data privacy laws are among the most important considerations to keep in mind. It is important to note that most cloud storage users are highly concerned about the privacy of their data. US data privacy laws have in the past been seen to invade on the privacy of users, especially after reports emerged that the NSA was accessing user data stored by US based cloud providers. On the other hand, Canadian data privacy laws are seen as more stringent and better at ensuring that the same is protected from unwarranted access. The main factor to keep in mind here is that the geographic location of the data is not as important as the residence of the custodian. This has been seen in judicial decisions compelling US companies to supply private user data stored in other parts of the world, outside the country. The US is the origin of cloud computing and cloud storage services. Since then, many other companies have picked up the services offering them all around the world. Most of the popular cloud storage companies are US based as compared to the 20 or so Canadian companies. As such, users, especially private users are more likely to find more variety when looking for a suitable cloud storage provider by searching for US based companies including Google Drive and Dropbox among others. Most of the Canadian cloud storage providers focus on providing business oriented services leaving a large part of market made up of private users unattended to. Cloud storage is not simply about transferring data from your computer to the cloud. It involves managing, sharing and syncing the data to provide more value to clients. This brings in the need for functional cloud storage solutions that help manage data to meet user needs, whether personal or for business. US cloud storage providers such as Google Drive and Microsoft also offer users access to additional data management solutions. Although, Canadian cloud storage providers also offer various solutions, these are not as advanced. The US cloud storage market has grown exponentially over the last few years with only data privacy issues posing the biggest threat. On the other hand, the Canadian cloud storage industry is still considered to be largely underdeveloped. Cloud is one of the biggest buzzwords in technology right now, with solutions from SaaS (Software as a Service) to PaaS (Platforms as a Service) and even IaaS (Infrastructure as a Service) making headlines. Keeping track of what’s happening and what’s projected to happen in the next 12 – 18 months can cause a serious headache, but we’ve distilled down the key points to consider for 2016. In 2015, cloud turned a corner–the adoption rates of Office365 and Adobe Creative Cloud meant that a whole new generation of users was going to be accessing their software in a quite different way than in the past. Gone are the days when it required someone from your IT department to physically sit at your system and add software—now, this same access issue can be solved simply by adding your name to a licensing list and granting your access. Since new licenses to traditional software such as Microsoft Office are increasingly hard to come by, IT departments are finding themselves in the midst of a bit of a crisis. While it can be expensive to move an entire organization to a cloud-based version of productivity software such as Office365, it can also be tough having new hires on the cloud and everyone else mired in desktop software deployments. This dilemma is negating the value of the cloud to some extent, as additional time is required to determine each user’s specific needs and software mix before changes and updates can be applied. This will continue to be an issue in 2016, and likely accelerate before it gets better. As cloud-based computing matures, IT departments are ever more willing to bring additional software online. Even if the full value of the tech isn’t being realized, the lower cost of ownership and long-term value of receiving upgrade pushes is driving more interest not only from the tech side but also from the management side of business. Executives are hard-pressed to approve additional physical infrastructure costs as they question how the process could be moved to the cloud for flexibility. The ability to add (and reduce) scale quickly and cost-effectively as business grows or ebbs is a key differentiator for cloud adoption—which will continue to accelerate both for individuals and businesses in 2016. As two frontrunners appear in the cloud storage space, AWS and Azure, other storage facilitators are beginning to resell these primary solutions. This will simplify the process overall, as the infrastructure of storage solution vendors begins to even out and play nicely with smaller solution options. As cloud-based storage continues to grow, smaller niche businesses will be edged out and replaced by the businesses who have economies of scale. While it is incredibly convenient for individuals to access their personal and business data remotely, this also means that there’s a higher potential for data loss as apps and storage move into the cloud. With the broader potential for data storage come additional security measures that will be needed, and technology departments have to work closely with cloud storage solution providers to ensure that adequate security is in place before making a move in this direction. Cloud computing and cloud storage continue to be strong conversation topics for technology leaders and implementation teams in 2016. While the overall outlook is positive for cloud storage for both personal and business use, it’s important to keep in mind that there are a few pitfalls—such as security—that still need to be ironed out as adoption rates rise. With more and more users looking to store their ever increasing digital data safely, Canada has seen an increase in cloud storage service providers. Read on to find out some of the top providers in the country. This cloud storage provider offers various data storage packages designed to cater to the different needs of users. The simplest package allows users to specify the files to be stored so as to make the operation as efficient as possible. Clients looking for a managed solution also have their own suitable option. This comes with a variety of solutions meant to make the cloud storage endeavor as valuable and useful as possible. Another highly ranked cloud storage provider in Canada, Telus offers different storage plans depending on the needs of their clients. By choosing to store your data with Telus, you get to benefit from a wide choice of data storage plans as well as high speed transmission networks for timely data storage and access. Telus cloud storage services also recognize the need for maintaining a backup to the stored data to avoid any loss in case of any widespread calamities. Rackforce offers scalable cloud storage services for both users with just a few devices to large corporations with a huge collection of different devices through RackForce Cloud Backup – Express. Their minimum paid storage account starts at 100GB. Users can add all their devices to the account and get the storage process started immediately. RackForce also employs great security features for all the data during transmission and storage. Rogers cloud storage is made up of data storage centers all located within Canada. They offer clients the ability to scale operations up or down as needed with unlimited storage capabilities. Clients can access custom configured storage facilities to provide a perfect match to their specific needs and requirements. To keep data secure and avoid unprecedented data loss from calamities they rely on multiple backups as well as high grade firewalls. 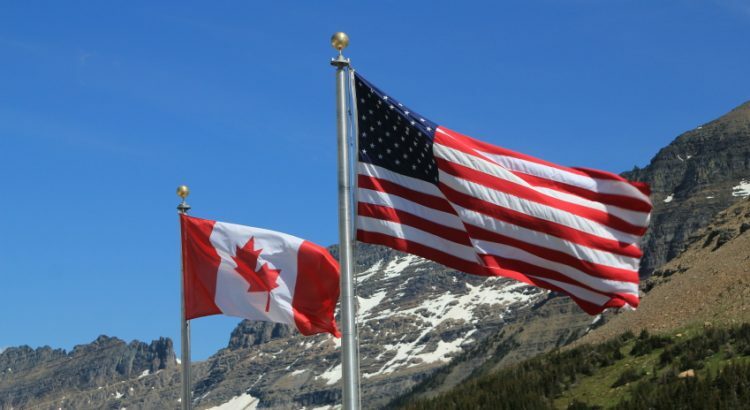 Although it is often said that the Canadian cloud storage industry is lagging behind in comparison to other countries including the neighboring US, efforts are being made to correct the situation. Cloud storage providers are moving from solely offering their services to corporate clients to including simple packages for home users as well. Anyone with an Apple device such as an iPad or iPhone knows that there are frequent updates that often stick—or require users to completely rebuild their mobile device in order to install the latest patch. Whether you’re seeing this happen a great deal and getting frustrated trying to reinstall or find all your photos or you’re just concerned that something is going to happen to your priceless family photos and work information, understanding how to create a cloud storage backup for your Apple devices is important information. If you’ve had an Apple device for quite some time, you are probably more familiar with the option to backup your device or devices to iTunes—a step that requires a physical desktop or laptop computer and a cable to connect the two devices. While relatively fast and not requiring an Internet connection, this option does require you to take a physical action: e.g. plugging in your phone or tablet, choosing to make a backup, and then selecting which information to sync with your iTunes instance. This can be a bit frustrating, especially if you’re changing computers relatively often—as you can never be sure exactly what type of data is in your backup and you’re also limited by the hard drive space on your machine whereas a cloud backup of your iOS device is essentially unlimited in size. Unlike Android phones and tablets, the best way to back up an iOS device is through iCloud or iTunes. For Apple, iCloud is the service they created specifically for backing up devices, and it works (mostly) like a charm. While there are some types of information that will not back up automatically to the cloud, nearly everything you need can be backed up to iCloud and saved just in case of emergency. While broader in spectrum than a localized backup to iTunes, an iCloud backup also has a few limitations. Specifically, the need to encrypt the backup if you’ve decided to back up your Keychain or Health data—items that might be of critical interest to any hackers hovering around. Of course, just as with other online cloud storage options, Apple iCloud storage isn’t free—or even particularly cheap. However, it does allow you the automation that you may need as your device will back up any time that it is locked and plugged in, and connected to WiFi. Plus, you can restore your device from anywhere that you can find an Internet location—even if you completely shatter your phone and need to buy a new one, you can restore from the cloud. This added benefit can make a huge difference and get you up and running much more quickly than having to wait until you’re back home and can connect to iTunes after an extended business trip. Dropbox, Google Drive and several others also offer options for backing up your iOS information, however they do have some pretty serious limitations. Dropbox is limited in that you’re unable to backup anything beyond photos and videos; but whether that limitation is important or not is something individuals will have to determine. Microsoft OneDrive and Google Drive are similar in that they won’t backup the entire device, just selected portions. Choosing and using the best online cloud-based storage alternative for your iOS device can be a bit challenging, but as long as you understand your options and how much you’re likely to pay for online cloud storage, you can easily create your backup and manage subsequent data restores with ease. One guarantee in technology is that there will always be acronyms bandied about that you may or may not understand, and the new cloud-based computing and storage solutions have introduced their fair share. Not only are there public, private and local clouds, but you can also utilize off-premise services at various levels to support organizations of all sizes. Some of the most common types of cloud computer services are Software as a Service (SaaS), Infrastructure as a Service (IaaS) and Platform as a Service (PaaS). Managed service providers are the organizations most likely to offer these next-gen options, as they can stitch together any number of offerings in a way that is seamless to the end-user of the service. While there is some blurring of the lines between PaaS and IaaS, these two can be considered distinct entities, with Infrastructure as a Service considered the base that the other two cloud options are built upon. These are neither mutually exclusive nor are businesses required to utilize all of the options at once; SaaS can be implemented for one specific need (customer relationship management) while all other software is deployed locally. The technical definition of SaaS is software that is deployed across the Internet, with a provider who tenders the application to clients through a subscription or even at no charge for an in-kind offering. The market for this type of software is growing rapidly and includes such basics as Google mail, Office365 and Adobe Creative Cloud. As local installation becomes ever more challenging and software developers respond to users’ demand for rapid changes by pushing micro-updates, SaaS continues to gain traction and acceptance within the business community. This acceptance has been helped along by software manufacturers’ understanding of the ongoing revenue stream that monthly or annual subscriptions provide—a revenue stream that is highly attractive, especially when compared with previous options where customers could keep the same software for many years without a new upgrade charge. Where SaaS provides the ability to access software deployed over the Internet, PaaS is the platform used to create software—also delivered over the Internet—allowing the quick and easy development of web apps without maintaining a great deal of infrastructure. PaaS could either be a collaborative platform for software development with heavy workflow management, or it could be a platform that uses proprietary data from an application as the basis for building software. Building and deploying UI scenarios and multi-tenant architecture as well as the ability to support dev team collaboration are well-documented benefits of PaaS. Scaling servers, network and operating systems and storage can be a massive headache of its own, and IaaS seeks to alleviate those issues. Instead of purchasing servers, network equipment or space in a datacenter, IaaS allows technology teams the flexibility of a fully outsourced infrastructure. While there are nuances within IaaS, in general the core characteristics include the distribution of resources as a service, dynamic scaling, variable cost pricing models, and the ability to share a single piece of hardware across multiple users. As cloud computing services mature, the hard lines between IaaS and PaaS will continue to blur with the addition of code deployment tools to IaaS platforms. When you have volatile demand, a mobile workforce and a limited technology support team, these cloud-based services grow in popularity. As the world turns to digital storage of data and information, the need for additional storage space is ever increasing. Cloud storage has now become the norm in the UK, with more and more of the population going for it, abandoning traditional forms of digital storage. As the UK market grows, more and more cloud storage providers are cropping up offering local storage in competition with larger US multinationals which are leading the global industry. This has worked to provide users with a wider choice of options as compared to a few years back. Below we will look at some of the factors users should consider when it comes to choosing whether to store their data with US or UK cloud storage providers. One of the main considerations to keep in mind when it comes to choosing a cloud storage provider is their pricing policy. Cloud storage is supposed to be cheaper than other traditional digital storage methods. In the UK, there have been cases of cloud storage providers taking advantage of unsuspecting users by luring them in with attractive trial or free offers only to change things later. On the other hand, when it comes to US cloud storage providers, the pricing structures tend to be more transparent. Users can be sure that the prices they see before signing up are maintained, while any changes will be according to legal provisions governing the same. This is because multi nationals are subjected to a lot more scrutiny. Data privacy is an essential part of cloud storage. With personal users and businesses all concerned about keeping their data secure and private, choosing a provider that can guarantee the same is invaluable. The US cloud storage providers have suffered a lot in the past due to reports of unwarranted surveillance by the NSA on data held by these custodians. Additionally, there have been rulings made in the US stating that only the custodian’s base of operations matters when it comes to determining whether data is under US jurisdiction. This simply means that data stored in the UK under a US custodian can be legally acquired by US authorities. These reports have led to a huge number of the European and specifically, UK clients to withdraw their data from US companies in the past. Local UK providers can guarantee the privacy of user data as per local data privacy laws. Cloud storage comes with a variety of associated solutions that make management, sharing and syncing of data easy and convenient. In this regard, US cloud providers are ahead of their UK counterparts with different providers offering a variety of solutions to facilitate different operations users may want to carry out on the stored data. The use of desktop clients and mobile device apps that are compatible with a variety of operating systems make the entire exercise much easier and more convenient. As the UK cloud storage market grows, more and more local service providers are coming up with better solutions targeted at meeting the needs of their users. Clouds are beautiful—and not just when they’re in the sky. Cloud computing offers so many options that simple local data storage on desktops and laptops could never touch, such as the ability to access files from any computer, anywhere that you have Internet access. You can also add or modify files from your mobile device and conveniently share files with colleagues and external vendors without worrying about whether your message is caught in email limbo. Sure, cloud-based computing is accessed via an Internet connection, but is everything on the Internet part of the cloud? Yes, and no. Cloud computing is technically a shared service that allows you to perform specific functions (saving a file, accessing a database) that is also available to other users in a similar way. Software and data are still stored in a centralized location when you’re using the cloud, it’s just not central to you and could be stored on a number of different server farms. Perhaps the best way to understand the difference is that the Internet is an enabling infrastructure, while cloud computing is the way that the infrastructure of the Internet can be utilized in order to provide continuous services without concern for scale, capacity or management. Simply stated: Internet is the ‘how’, and cloud is the ‘what’. While companies are migrating their business operations to the cloud in increasing numbers, security is still a prime concern both for individuals and for businesses. Since cloud computing by nature is a way of bypassing the standard controls put in place by technology departments and allowing users a measure of anonymity, there are additional layers of controls that need to be implemented in order to maintain acceptable security levels. Cloud providers store an unbelievable amount of data; making them very attractive as a potential target for hackers or anyone trading in sensitive information. Accounts can be hijacked, APIs can be hacked and authentication can be broken—but these are all issues that the cloud computing community is well aware of and which is receiving a great deal of concentrated focus. When looking at whether or not cloud storage is right for you or your business, it’s important to understand your needs. Do you have multiple devices, work in the field a lot, and need to access files and ensure that you always have the latest version? Then cloud computing is probably a good bet for you—even though the cost is going to be greater than an expansive 2TB local hard drive. However, if you or your employees primarily access files within your home or office setting, and you seldom need to share files with others and just want a way to back up photos and videos for instance, then a local hard drive may be a more cost-effective and attractive option—at least for now. Cloud computing has come a long way in a very short time, and continues to expand into the realm of infrastructure, platforms and software as well as the storage solutions that are more familiar to more casual users.